Seeing the world by tandem bicycle. After arrival at Geneva, we spent our first 2 nights in the city of watches, in the shadow of the awesome Mt Blanc. This is the French-speaking part of the country, known as the "Swiss Riviera." 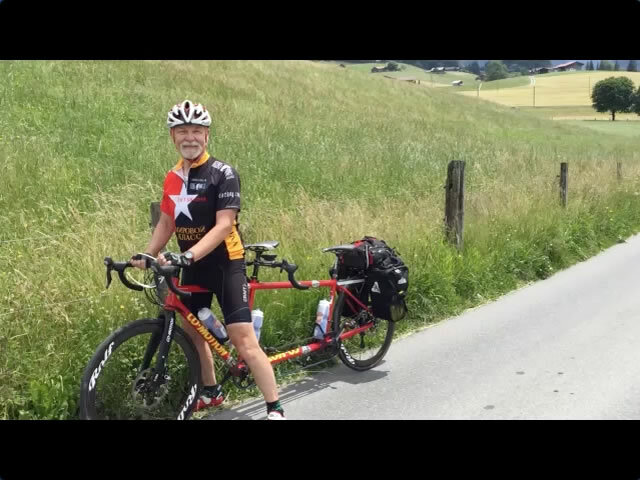 From Geneva we cycled along Lac Léman (in the US, we call this Lake Geneva) to Lausanne, where we spent our next 2 nights. 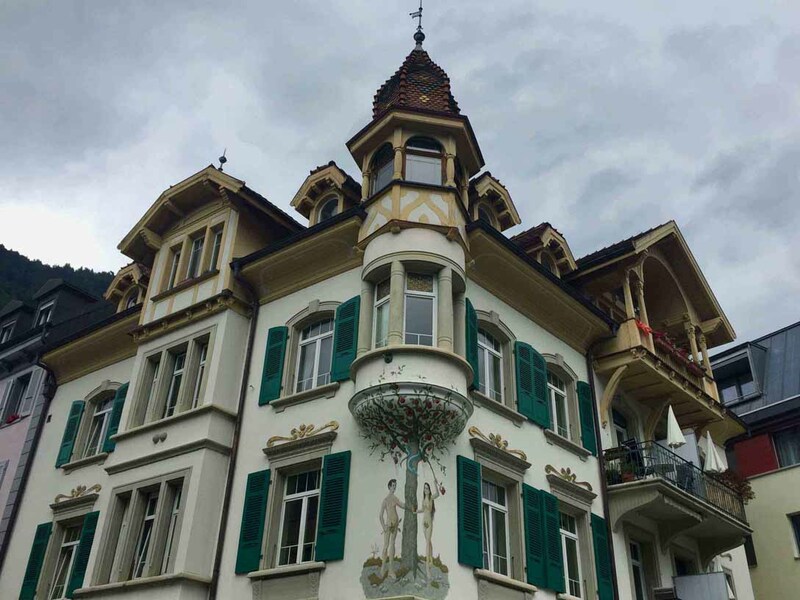 Lausanne is home to the International Olympic Committee, the Olympic Museum, and the Lausanne Cathedral, the largest church in Switzerland. 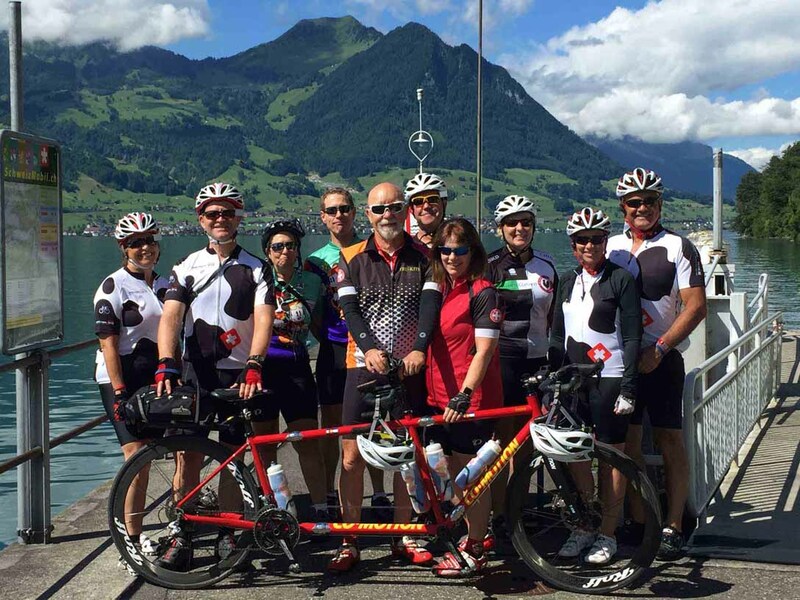 We spent a day riding to Chateau de Chillon on the lake to visit this 13th century castle. From Lausanne we headed away from the lake to the village of Gruyères for a night, famous for the cheese of the same name. In fact the whole town smells of it! This was definitely the place for a taste of authentic Swiss fondue! 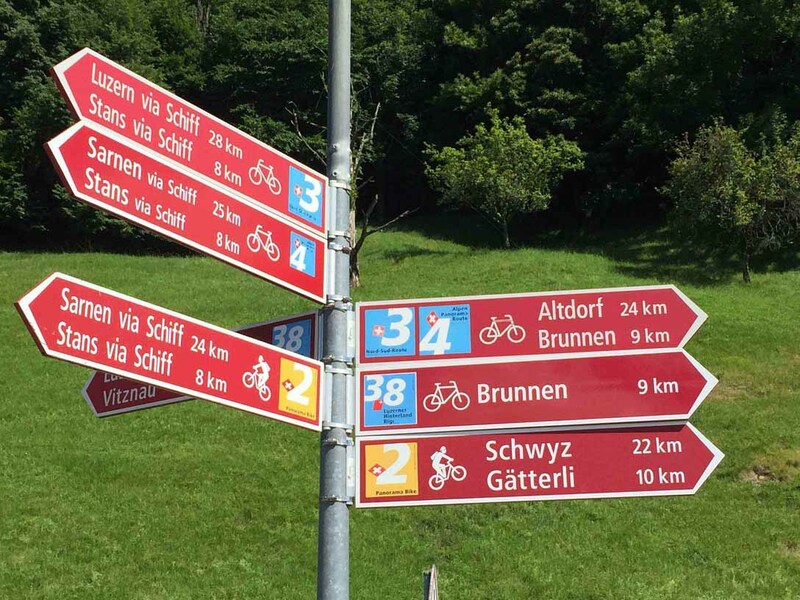 On to the German-speaking area of Switzerland as we traveled to Gstaad/Saanen for one night. 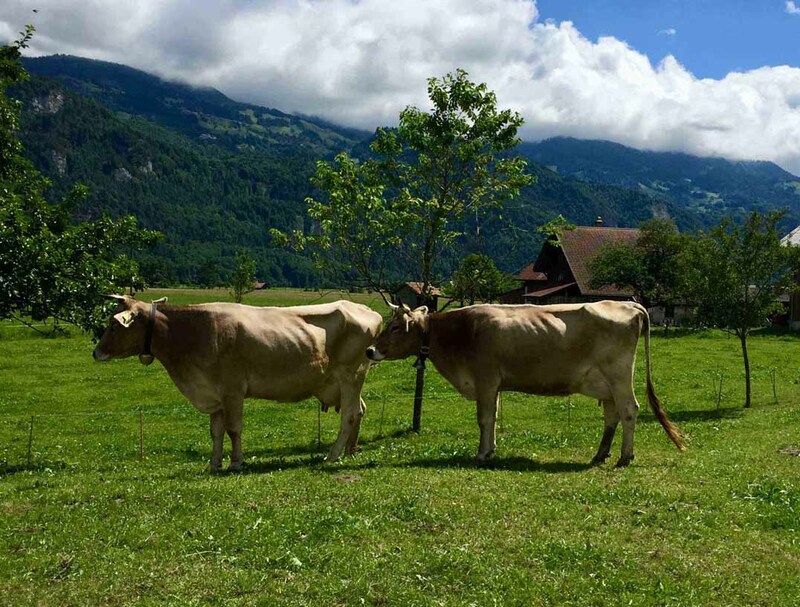 In the Simmental Valley we cycled past a multitude of achingly picturesque Simmental half-timbered houses, dating back hundreds of years, still inhabited today. This area is also famous for the intricate paper-cutting, called scherenschnitte. On to Interlaken! 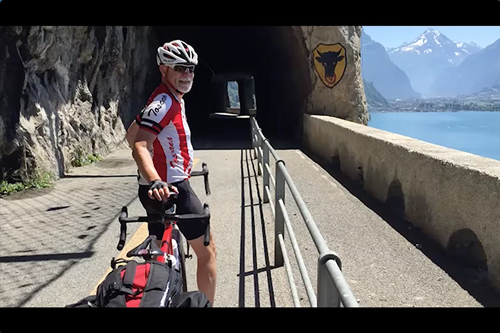 After an easy and mostly downhill ride we arrived in Interlaken, meaning "between the lakes." 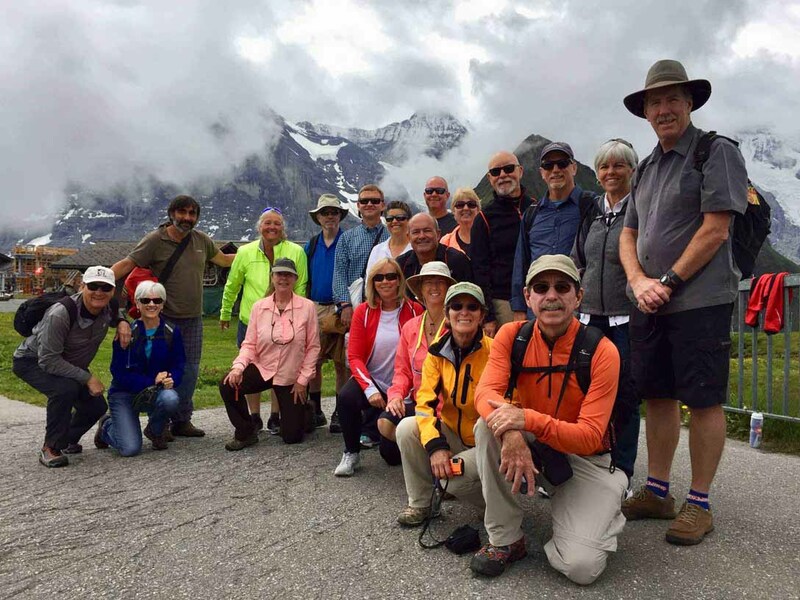 We spent multiple nights in the Interlaken (2 nights) & Grindelwald (2 nights) region of the Bernese Oberland to take full advantage of the beauty of these mountains. 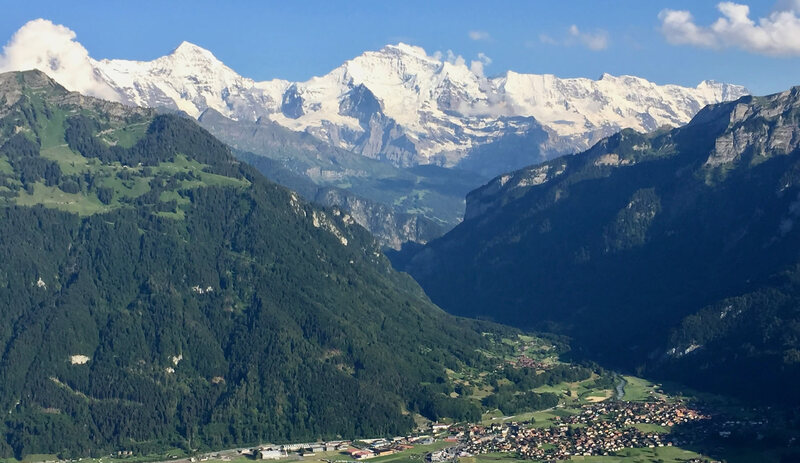 This is the Switzerland of the Eiger (Ogre), Jungfrau (Virgin) and Mönch (Monk) peaks and these mountains are the main summits of the Bernese Alps. 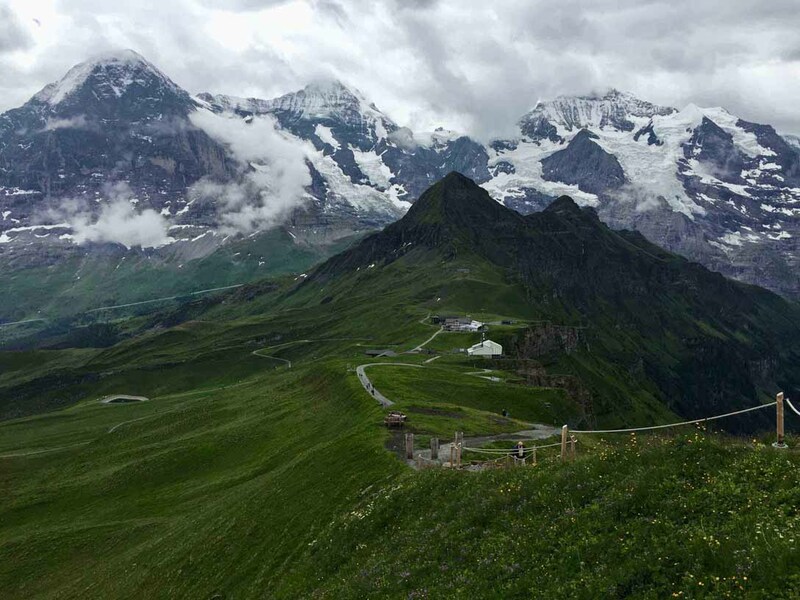 A non-cycling day in this area gave us a chance to stretch the legs with a hike from Männlichen to Kleine Scheidegg. We then head to Lucerne (Luzern) with a stopover night near Meiringen. 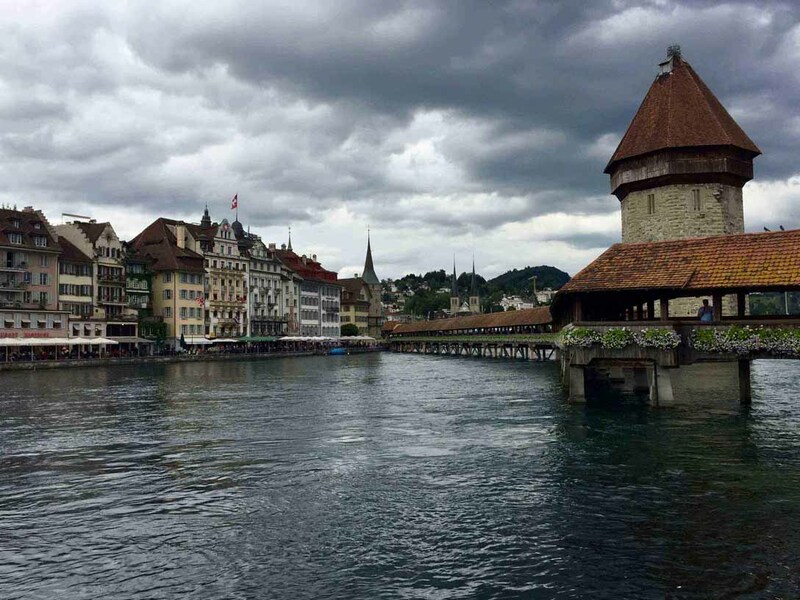 Lucerne is a lovely, small, compact city, famous for the wooden bridge and stone water tower on the Reuss River. Cycling here included a lakefront ride of stunning beauty. 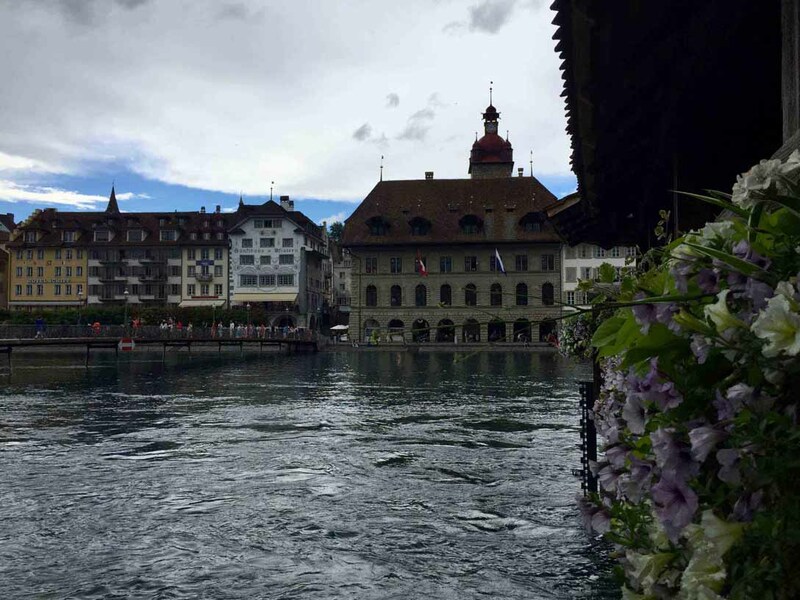 Our Swiss adventure ended in Lucerne before the journey home. 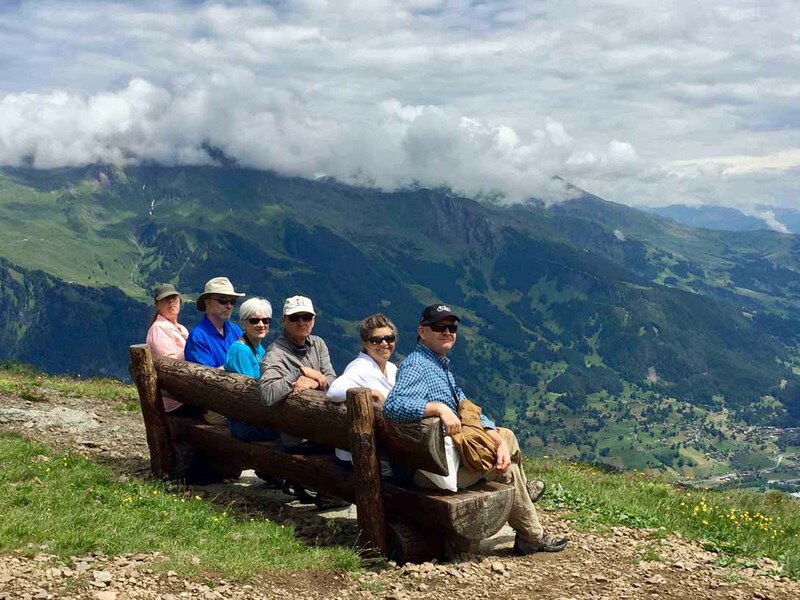 To learn more about Tandem Bicycle Tours and our tours, browse our website and we hope you will Contact Us for more information. This browser is not HTML5 compliant. 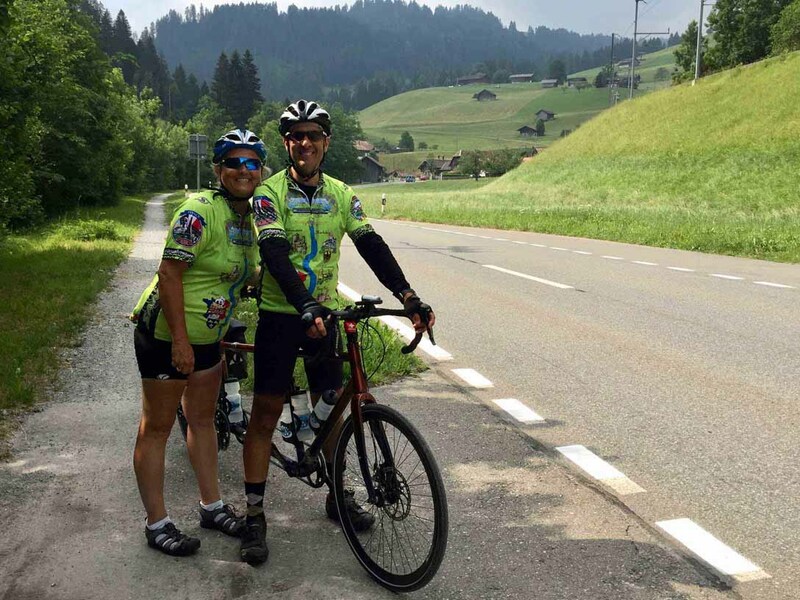 We hope you will consider joining us on a future tandem tour! For more on what's included in all Tandem Bicycle Tours, please see the specifics.